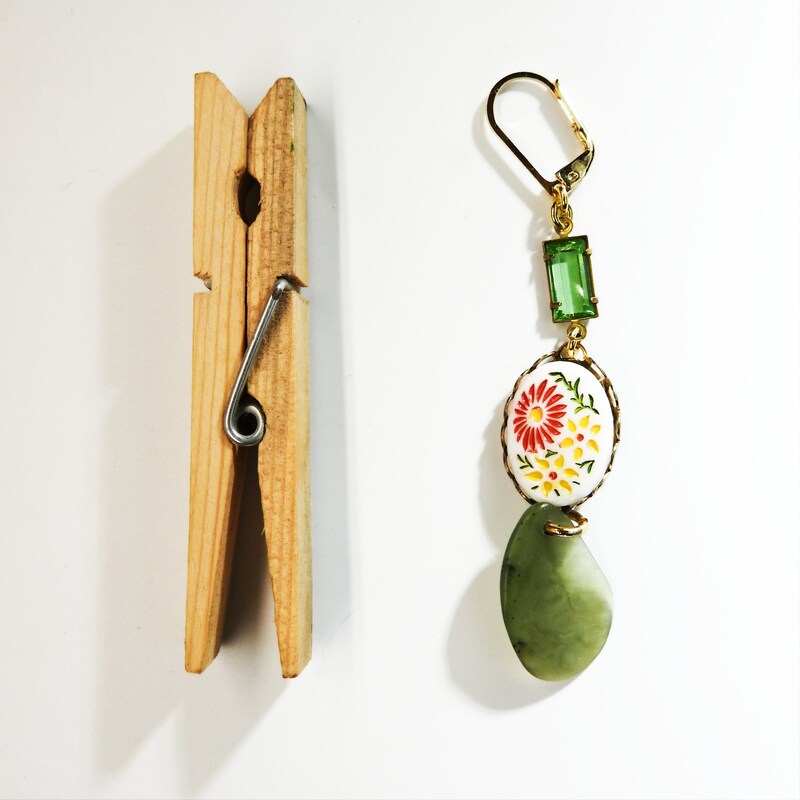 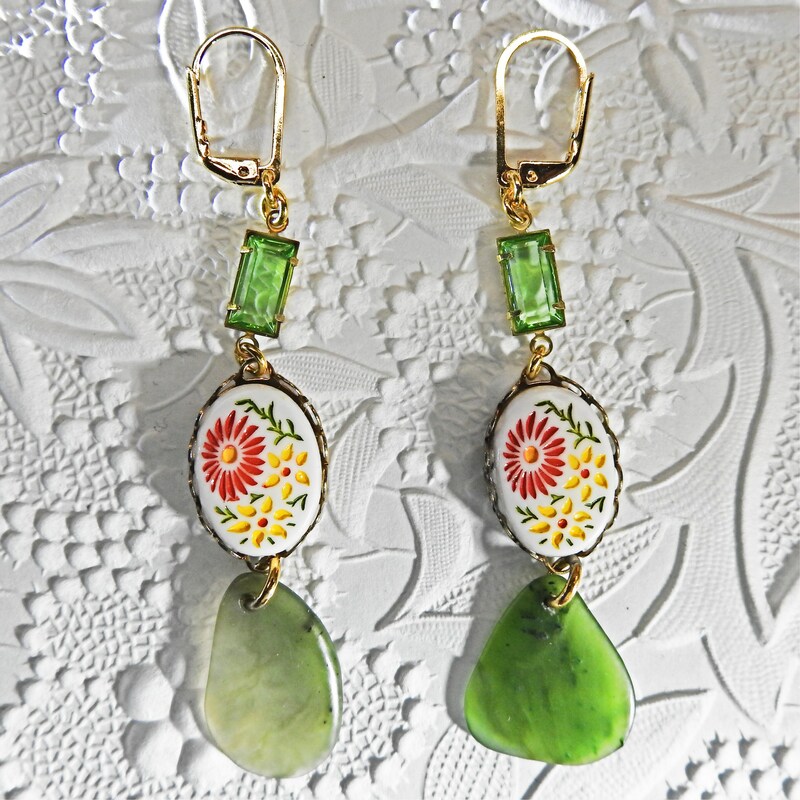 Looking for an adorable pair of olive green drop earrings? 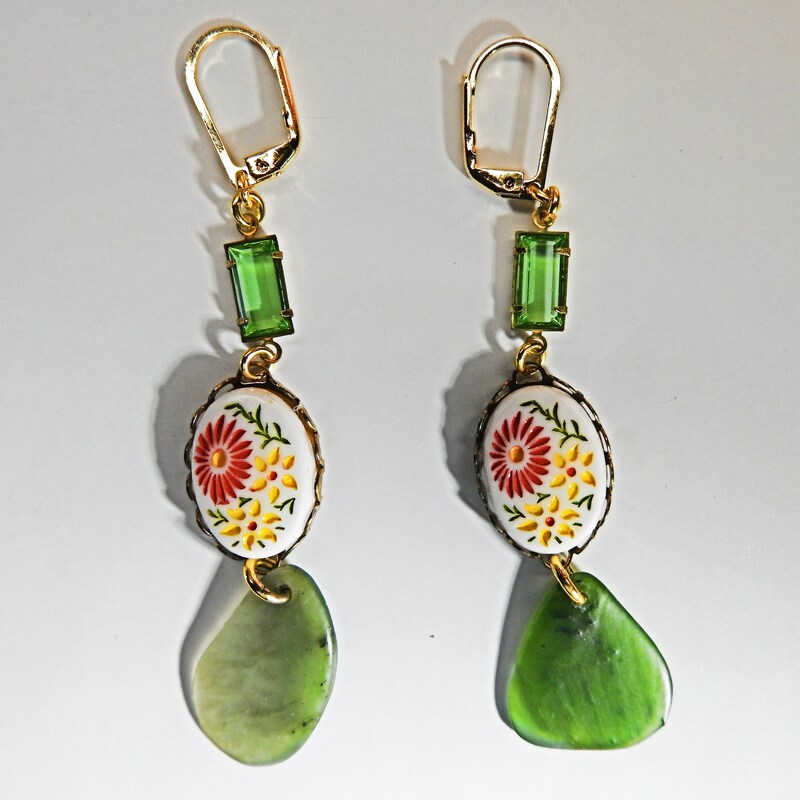 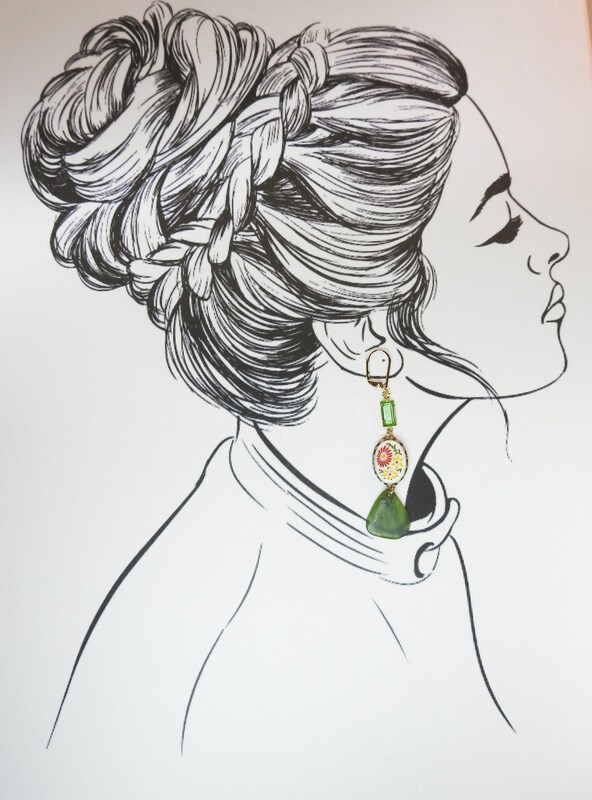 Soon, you will wear your hair up, only to show these charming and unique handmade earrings. 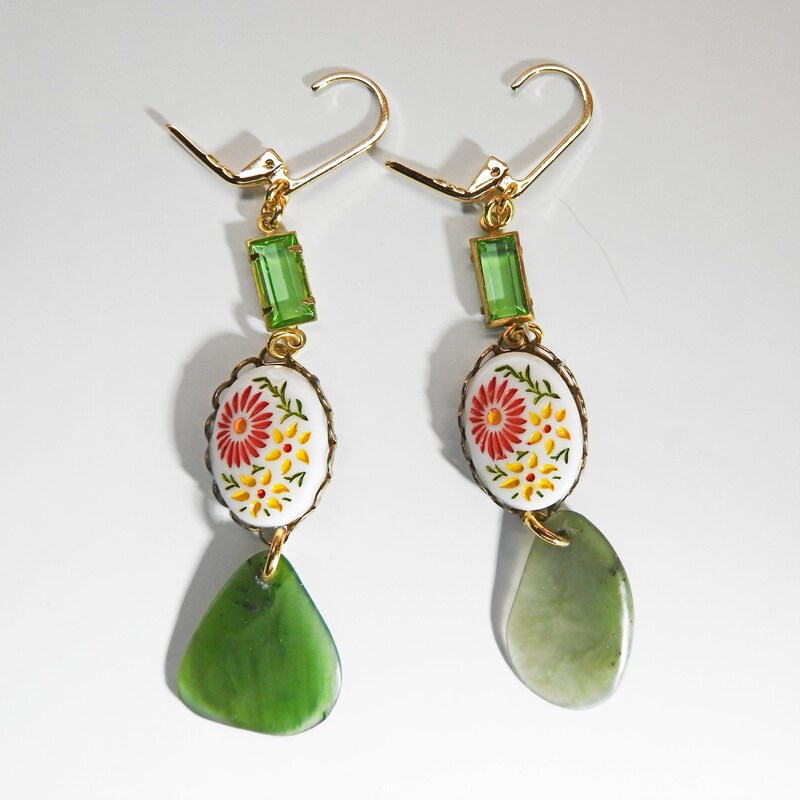 These floral long earrings will accompany you from morning til evening, they are just that easy to wear! 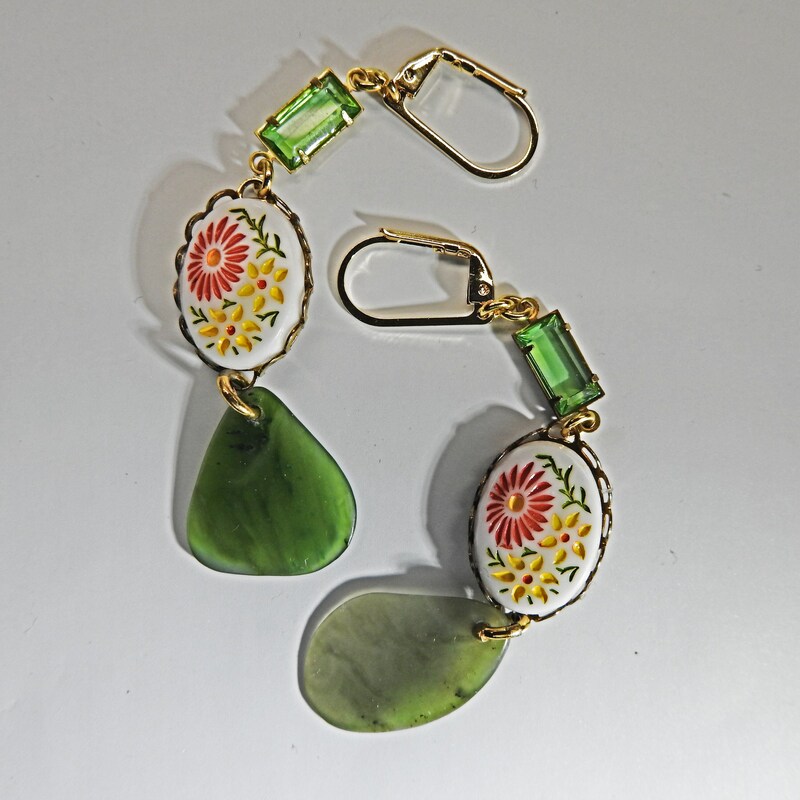 - Colors: Olive green and white, yellow and red. 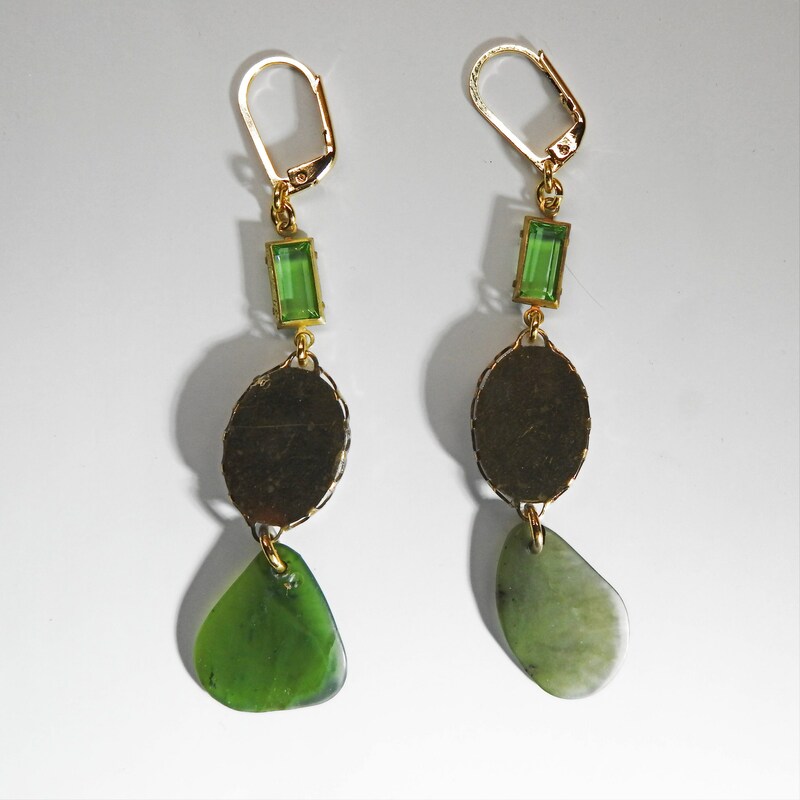 2 pieces of authentic nephrite BC Jade. 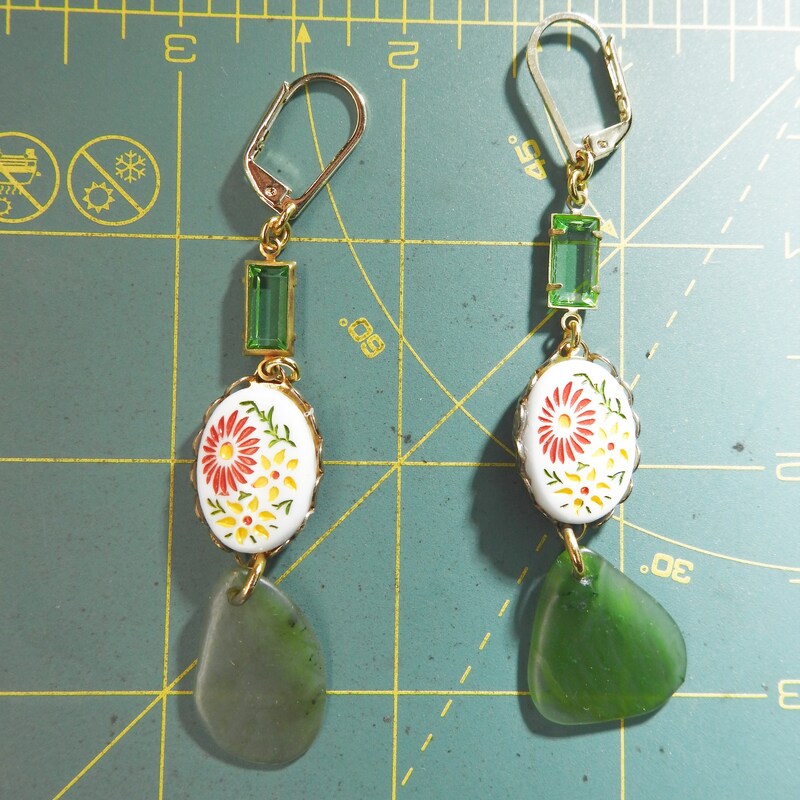 Thank you for exploring this adorable handmade drop earrings.